I ate a lot of excellent food when I was in Malaga recently, but the most surprising place I went to was Rocío Tapas y Sushi. Tapas and sushi in the same restaurant? 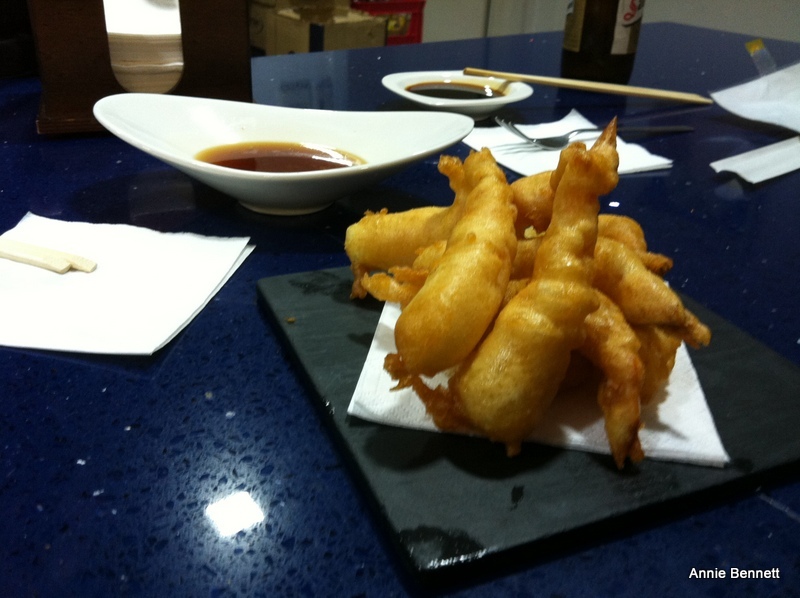 Yes indeed – and actually I went to a few places in Malaga that are combining Andalucian and Japanese cuisine. It may seem an odd mix, but it really works. I had been taken there by my friend José Luis Gallardo, who is from Malaga and is now living there again after several years in Madrid. We had been to La Térmica, a new cultural centre nearby, about two miles west of the city centre, just behind Misericordia beach. 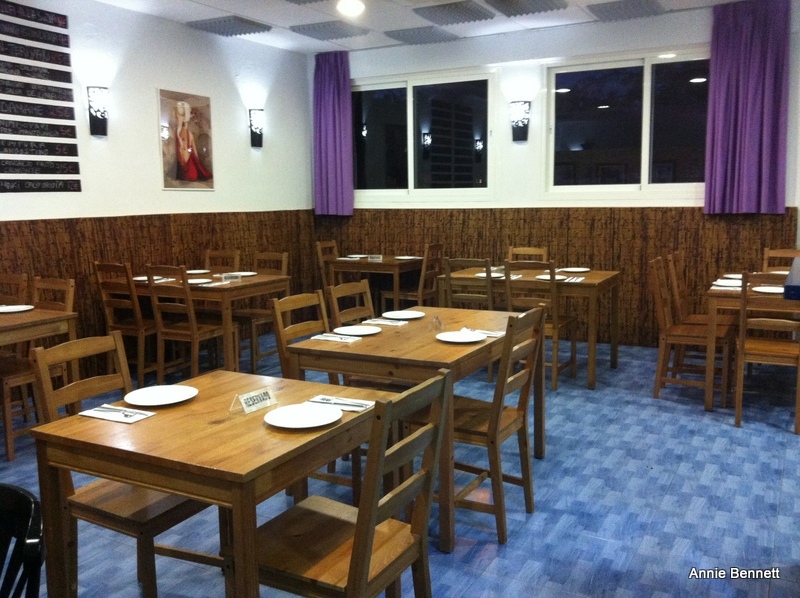 The restaurant is on a very normal street, flanking the Oeste park, in the very normal residential area of Los Guindos – you would never come across it by chance. Outside, the frontage is painted a lurid shade of mauve, with a strip of pavement tables. Inside, there isn’t much décor to speak of at all. So why on earth were we there rather than at some trendy gastrobar? Because of Masao Kikuchi, a master sushi chef in his late 70s who has worked all over the world, incuding a stint preparing food for Emperor Hirohito at the Imperial Palace in Tokyo. In the 1990s, he worked at the renowned Tokio Taro in Madrid, where he taught Ricardo Sanz, who is now one of Spain’s top chefs and has Michelin stars at his Kabuki restaurants in Madrid and Tenerife. As we approached the restaurant, José Luis nudged me and said, “That’s him there, sitting on the terrace.” It was 8.30pm, the time Rocio Tapas y Sushi opens, and Kikuchi was having a cold beer before service got underway. José Luis, who had been there a few times before, explained that the restaurant is always full, so without a reservation you need to get there early. Even so, we had to sit at the bar, but that was fine with us. The waiter told us that although some bookings weren’t until 10, they don’t double the tables, preferring to leave them empty until the customers arrive. It’s just their way of doing things. They are fully booked every night, incredible as it may seem. Just down the road by the beach is the Vincci Malaga hotel, which sends them a lot of people, although it looked like mainly locals when we were there. So how did Kikuchi fetch up in this neighbourhood joint? Well, for a few years he was at the helm of the Taro restaurant at the Hotel Guadalpin in Marbella, which has since closed down. While there, he became good friends with Juan Bautista García, who was then chef at the hotel’s Michelin-starred Mesana restaurant and went on to work at Antonio Martín in Malaga. He remained good friends with Kikuchi although they were no longer working together, and when the latter had some health problems, Bautista García and his wife María José Mezcua took care of him. When the couple decided to open their own, more informal restaurant in their local neighbourhood, they asked Kikuchi to work with them, first opening in tiny premises around the corner in 2010 and moving to this location in 2012. Installed at the bar, we ordered a couple of beers and had a look at the menu: Spanish on the left, Japanese on the right. 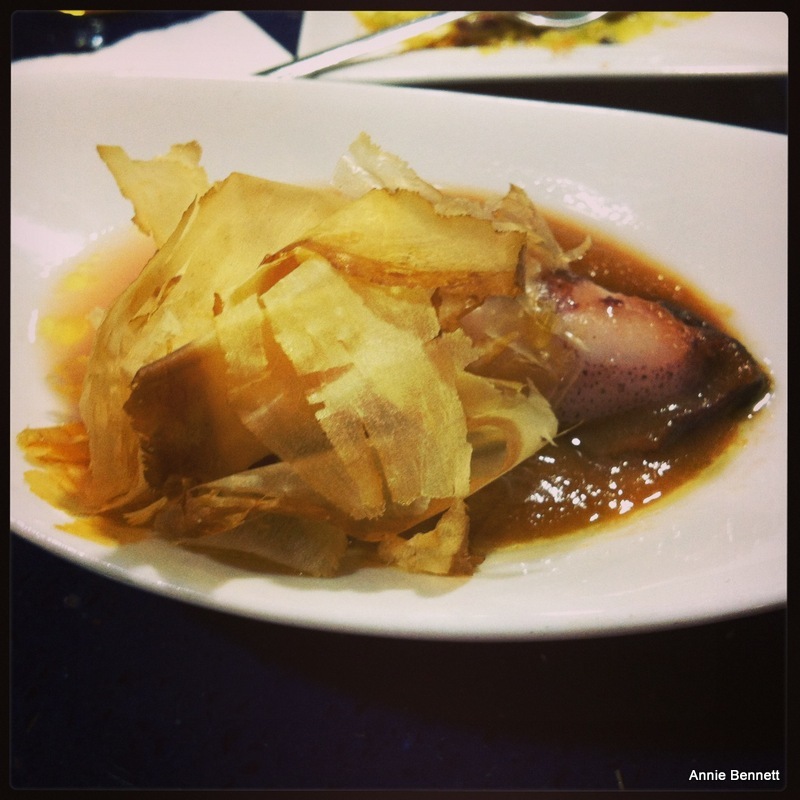 From the tapas menu, José Luis said the thing I had to try was the baby squid stuffed with salchichón de Málaga – a locally-produced, soft pork sausage with a mild flavour that I had never tried before. It was a fabulous dish. 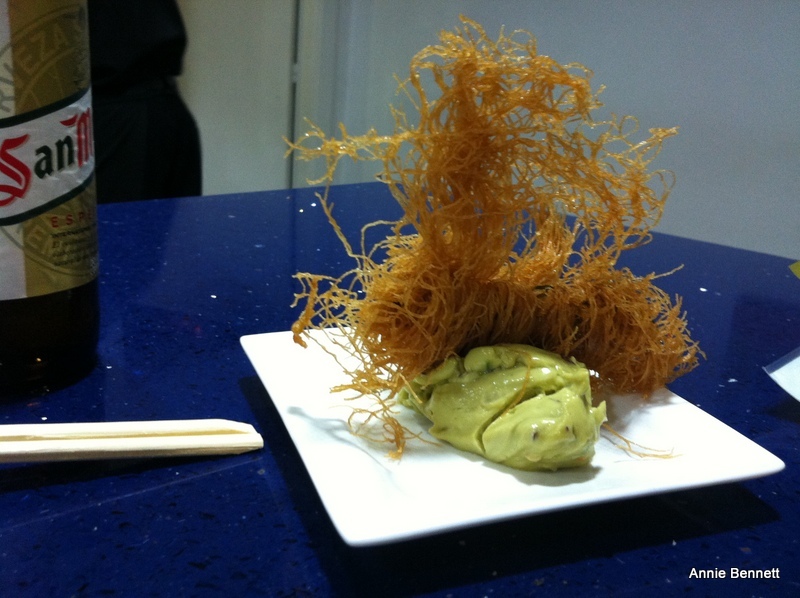 We had tempura prawns and also the king prawn in wispy kataifi pastry with avocado, but didn’t try the duck burger, which a lot of people were ordering. 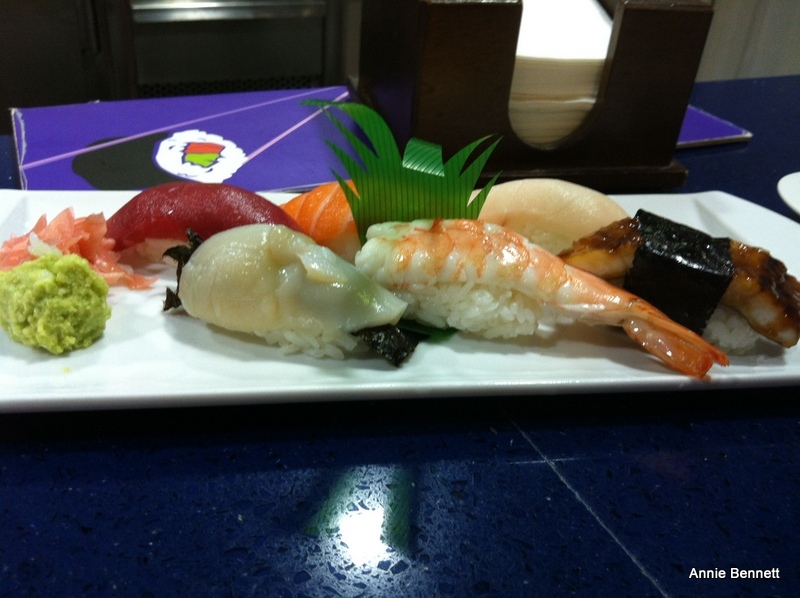 From the sushi menu, we shared a plate of nigiri, which were just exquisite. Next time I’ll try the tuna sashimi – the fish is caught further along the Costa del Sol near Gibraltar – and the gyoza dumplings, which looked great too. For the two us, with a couple of beers each and sharing a dessert, the bill was just €38. Interesting sounding place….the food looks fab..the King prawn with Avocado especially! The rollito de langostino was indeed really good Paddy! Love it – it is our local!! Reblogged this on Mudanzas en Antequera.